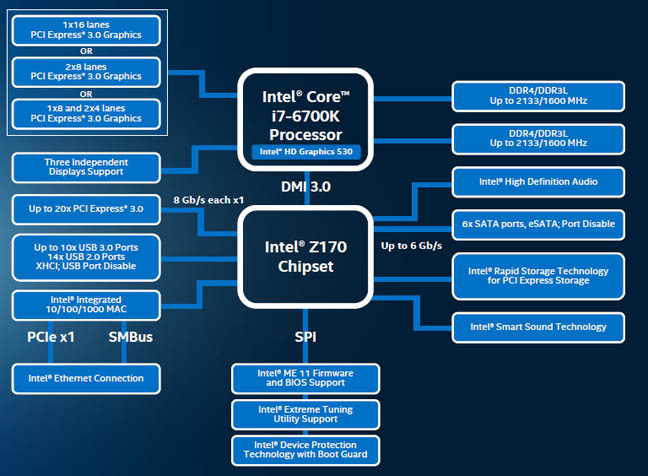 Review Nope, it’s not the next instalment of the James Bond franchise, but Intel’s eagerly awaited successor to the Broadwell platform. Skylake, like Broadwell, is built on a 14nm process but this time we get yet another new socket, as the new CPUs use the LGA1151 Socket. At launch, Intel is introducing two new enthusiast CPUs, as well as a new performance chipset, the Z170, which sees DDR4 memory support brought to the mainstream market for the first time. You might be wondering why Intel is launching a new platform with the higher-end CPUs rather than mainstream, and the answer to that is PC gaming. According to Intel, PC gaming is once again driving the desktop platform. With 1.2 billion PC gamers worldwide, Intel is committed to supporting both gaming and overclocking. Back in the day, if you mentioned the words Intel and overclocking in the same sentence, you would’ve been called a heretic and various incantations and curses would be aimed in your direction from Intel representatives. Times change, though, and these days the black art is fully supported by it. The first of the sixth-generation processors being launched to support the new platform are two Skylake K desktop enthusiast chips: the Core i7-6700K and the Core i5-6600K. The remainder of the family, including mobile variants, are scheduled to be launched just after this year’s IDF (Intel Developer Forum) or later. 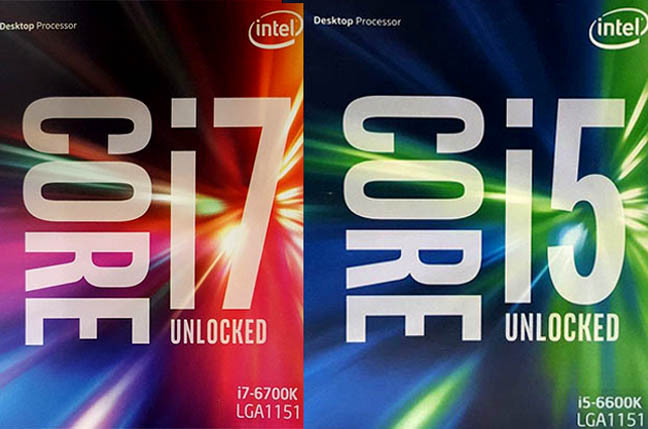 The flagship Core i7-6700K has four cores and eight threads (via Hyper Threading) and has a base frequency of 4GHz on all four cores with a maximum Turbo frequency of up to 4.2GHz, 8MB of cache. The Core i5-6600K is clocked at 3.5GHz, with a Turbo frequency of up to 3.9GHz with four cores and threads, and 6MB of cache. Both have TDPs of 91W – a wee bit higher than the 88W of Devil’s Canyon or the 84W of Haswell – and support 16 PCIe 3.0 lanes. The 16 PCIe 3.0 lanes can be split as a single x16, or x8/x8 or x8/x4/x4 and, at first glance, that may look a little limited, especially if you want to run SLI or Crossfire multicard set-ups and have PCIe cards to add as well. SLI has a minimum requirement of x8 PCIe, whereas Crossfire has no such limitation. All is not lost, though, as the new Z170 chipset supports up to 20 PCIe 3.0 lanes (configured in five sets of four) so that drives can be run at full speed via the chipset but with the caveat that the drive performance may suffer because of the greater latency of PCIe lanes using the chipset. It’s a shame that Intel couldn’t squeeze an extra four lanes out of the CPU to make the job easier. So what about overclocking? With recent processor releases, Intel has slowly loosened its grip on locking down most parts of the CPU to stop any serious fiddling. In general, the PCIe and DMI bus were tied to the BCLK (Base Clock) which meant problems could and most likely would occur with exotic PCIe frequencies if the BCLK was pushed too far, leading to many a BSOD. Yet with Skylake K, the company has fully given itself over to the dark side with all the PCIe, DMI and BCLK straps being thrown out the window. Instead, there is an independent BCLK with a full range of 1MHz increments. The PEG/DMI has its own isolated 100MHz clock, and the set ratios for multipliers have also been given the boot.